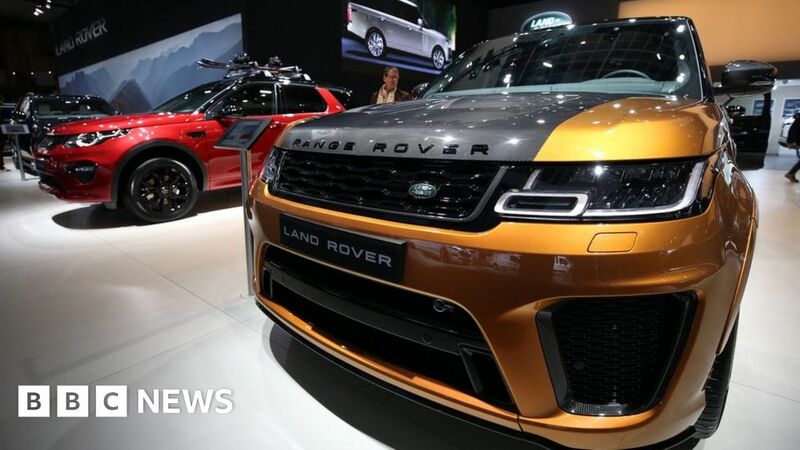 Jaguar Land Rover booked a loss for the last three months of 2018 as sales collapsed in China. The company booked a £3.1bn reduction in the value of its plants and other investments leading to a £3.4bn quarterly loss, its biggest to date. Carmakers are being hit by stronger regulations and demand for cleaner models. Sales for the quarter were £6.2bn, down from £6.3bn a year earlier. It sold 144,602 vehicles, down from 154,447. Excluding the write-down, which affects its balance sheet but has no effect on cash, the company posted a loss of £273m. Much of the firm’s model range is currently diesel-powered, while diesel sales in Europe have been falling. Jaguar Land Rover, which is owned by India’s Tata Motors, has embarked on a major restructuring programme to prepare for the future and boost profitability. It has already announced plans to cut thousands of jobs. It has now accepted that the value of its existing investments – such as factories, equipment and model designs – is substantially lower than previously thought, said BBC business correspondent Theo Leggett. Can You Handle This Destiny’s Child Reunion With Beyoncé And LeToya Luckett? September 13, 2018 Comments Off on Can You Handle This Destiny’s Child Reunion With Beyoncé And LeToya Luckett?